New Year’s resolutions for politicians: could anything fix this mess? 2018 was a terrible year for Australian politics: what would fix it? File photo. New Year’s resolutions link a calendar date with the alluring promise of leaving a disappointing past behind. But to describe the last year in Australian politics as disappointing would be an understatement, riddled as it was with sleaze, bombast and treachery on all sides. This year, a Federal election beckons. So I asked some of Canberra’s brightest political brains how our politicians could make a better start to 2019. 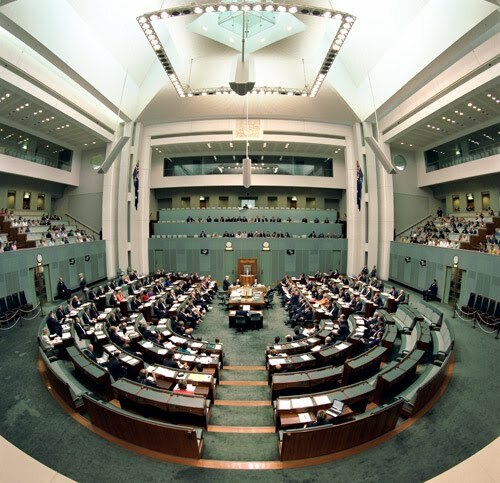 John Warhurst is Emeritus Professor of Political Science at the ANU, and Andrew Hughes, also from the ANU, is recognised as one of Australia’s leading researchers in political marketing. Hot on the heels of revelations that the Federal Liberal Party has pre-selected fewer women for the forthcoming election than at any time in a century, Warhurst pinpoints this as a major problem that must be fixed. “It makes them totally unrepresentative of the Australian community and that’s hurting them electorally. It’s only stubbornness that’s stopping the Liberals from adopting targets or quotas or whatever you want to call it. They need to be big enough to admit that it’s just not working,” he says. But Warhurst says gender is not the only issue with representation. “I think we need to allow people to join parties until the date of preselection for a bigger range of candidates,” he says, pointing to countries like Canada where there’s no requirement for long-term party membership to nominate for office. He thinks we need a Federal ICAC with teeth and a government that’s willing to expose discussions about corruption to a public audience. On that, Professor Warhurst believes the model proposed by PM Scott Morrison doesn’t go far enough in its scope. Federally and locally, he’d like to widen the definition of lobbyists to include government relations officers for corporations, industry associations, and interest groups. Warhurst says he was puzzled by advice given to the Legislative Assembly by ethics advisor Stephen Skehill, which argued there was no compelling reason to expand the Territory’s lobbyist register. On personal sleaze and bad behaviour, Professor Warhurst calls out the Greens and Liberals for recent bullying allegations. And with a government under siege, Professor Warhurst says that Labor is too captivated by their prospective election win to step out of line and show real leadership. Hughes also like the idea of a commitment to positive campaigning in the next election. “Put the emphasis on what the (parties) could do, not how much they hate the other side. Tell us how will you actually improve the country,” he suggests. He concurs that ongoing perceptions of a Liberal issue with women is affecting their political brand, and warns that with likely defeat looming, the current low number of women in the Party will affect their ability to rebuild for a full election cycle. “Perception is such a big factor in politics, and the Liberals look like a party that’s out of touch and out of time,” Hughes says. What New Year’s resolutions do you think our politicians should make? Its simples, limit the maximum amount of people that can represent any single party in Parliament to 8 members. This will ensure there is diversity in political agenda as well as diversity of representatives. The Liberals are gone.. Having successfully waged war on their own members and supporters all that is left is the rabid reactionary angry frothing so called “conservatives” who are clear on who and what they hate but otherwise have no vision. The Liberals are dead. All the local MLA’s are religious fanatics and the Canberra Liberals is dominated by The Catholic fanatic (Zed Seselja) who has never had an original thought in his fanatical life. It would appear that you have never voted or supported the Liberals in your life so how relevant is for you to bag Zed about his religious commitments? Maybe soon you will have to make a choice between Christianity and another distinctive doctrine masquerading as a religion. I agree that our once great , socially inclusive, representative and progressive Party is floundering and is almost in its death-throes. Sir Robert would be rolling in his grave at what it has become. He specifically named it ‘Liberal’ rather than ‘Conservative’ as he wanted it to be inclusive, progressive, free thinking and…liberal. And under leaders and minsters who expounded the liberal (small l) philosophy our country has always thrived. But now, a small group of right-wing reactionaries, with the support of loud conservative media have attempted (and almost succeeded) in convincing the party that they represent the ‘base’. They certainly don’t and never have. I have no time for Corey Bernadi or his views…but I do respect the fact that he saw that he his right wing, conservative views were so far away from the Liberal Party platform that he had the common decency to leave . I only wish that the rest of his ilk (such as Abbot, Abetz,,Dutton, Seselja and co) had the same belief in their convictions. Only then can our once great , socially inclusive, representative and progressive Party get back to its roots and become relevant to its base. As someone who is a Liberal supporter I would love to add my voice to the anti-Zed brigade. Unfortunately he will most likely be voted back in but he will continue to damage the Liberals. He has demonstrated many times that he is not the right person for this electorate. I understand that there are many Liberals who do not want to vote for another party. That is fine. You can still vote for the Liberals. Please Liberal party, ensure you have a progressive candidate as an option, and please Canberra liberal voters, take the time to vote below the line and put Zed last. Putting Zed last is best for the country, for Canberra and for the Liberal Party. It looks like this will be the the year that Australia goes through the financial “S” bend given the massive debt we have at all levels and neither government or opposition offering any plan to repay same. Not even a commitment to stop borrowing to pay the interest on current loans has been forthcoming. When our creditors start pushing the only solution will be to nationalise superannuation savings and pay a subsistence pension in return. Hope I haven’t ruined everyone’s day. What a great idea to attract the best, because politics already suffers from a lack of unemployable staffers and unintelligent fanatics. Is the Victorian election an omen for Zed?